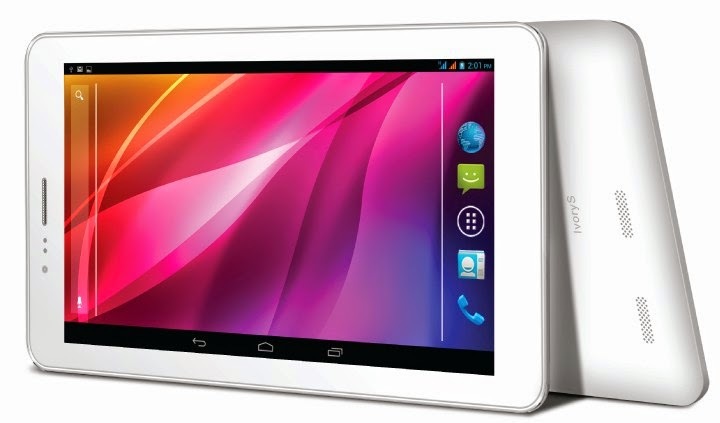 Lava Ivory S is powered by 1.3 GHz Dual Core Cortex A7 processor with 1GB RAM.It runs on the Android 4.2.2 OS.The tab sports with a 7 inches Capacitive Touchscreen Display with the resolution of 1024 x 600 Pixels. Lava Ivory S comes with 3.2 MP rear camera and 0.3 MP front camera for video calling.The dimesions of Lava Ivory S are 191mm x 108.5mm x 9.8mm and it weighs 300 grams.The tablet consist of 4 GB internal storage which can be expandable upto 32 GB via MicroSD card. The connectivity features of Lava Ivory S are 3G,GPRS,EDGE, Wi-Fi 802.11 a/b/g/n,Bluetooth,3.5mm audio jack, and micro USB.The battery capacity is loaded with non removable Li-Ion 2800 mAh.